If you are a regular shooter, then it is must for you to know that you can reload the ammo that you once used. Thus, you can save your money and maintain the accuracy. 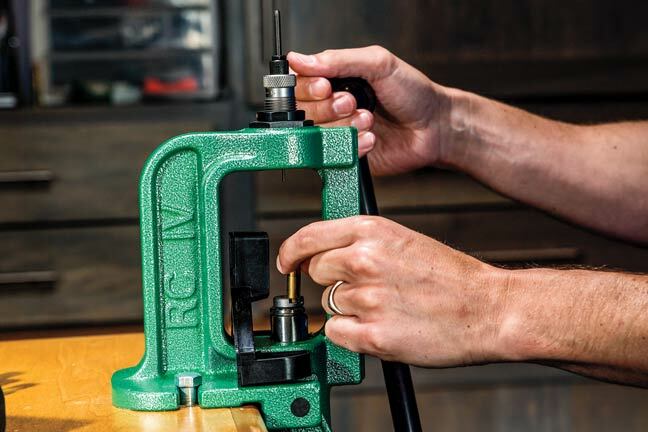 If you have empty rounds that you have already used or loosened brass and you don’t know what to do with those then I am suggesting you that it will be wise to invest in the materials for reloading. You may also collect loose brass to reload so that you can maintain the accuracy and also it’s a fun. So here I am going to discuss here on how to reload your ammo in brief. Stay here with me till the end and I can ensure you it won’t be wasting of your time. How to reload your own ammo? First, clean the brass casing and choose the right ones from those. Reject those which have defects and cracks or bulges and deformed primers. Clean the inside with soft cloth and reach the neck with a brush. Then lubricate the casings with case lubricant. Apply it several times to the pad. Lubricating is necessary for keeping the empty shells from getting stuck. These are the things that you will need for the reloading. So start now with these tools. I already told the term reloading press that you have. So now insert the cases into your loading press. 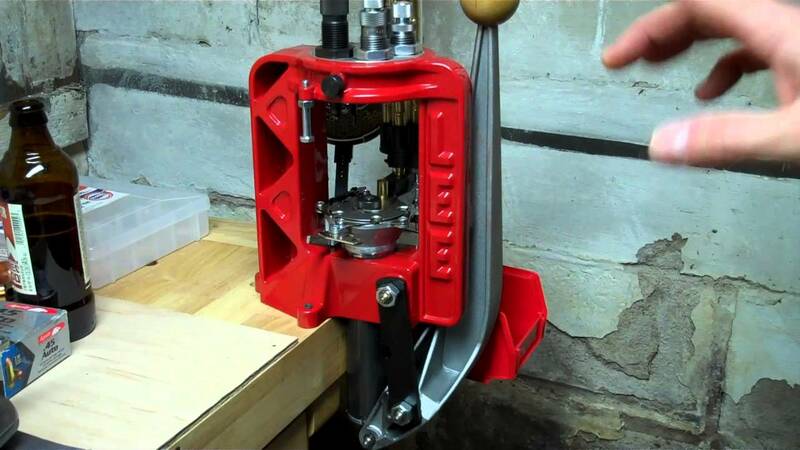 When you are inserting, the handle of the press should be positioned up. All cases are not of the same size as you used those or collected from different source. So for resizing, make lower the handle of the press. Then push out the primer. After that pull the handle up and remove the cases. Place those cases in a reloading tray. The press may now resize all the shells at a time. So repeat the system for all the cases. I said you can’t do it with all the cases but you can load several cases in the rotating tray at once. But go through the system of de-capping before loading. It may seem tedious but at the end, you will see it is worthy. But if you want this process to be faster & more accurate, you can use the best case trimmer, which I think is worth the money. The next to do is insert a new primer. First, raise the handle at the highest position and then keep a new primer in the cup. The cup is one the primer arm. There is a shell holder, insert one case into it. Push the arm in the ram slot. Then you need to lower the case onto it. Inspect the primer after lowering the casing. You will discover the world be flush or little lower than the base of the case. The casing is now ready for taking the powder. When you are reloading with powder then you should know that different shells need the different weight of powder because every type of shell is different. So those require variety in the powder. To know about which case you should fill with what kind of powder, you can buy a reloading manual that covers these points. There will be the recommendations of powder and weight. Take a look at the book. After knowing about the weight and powder, weigh the amount of powder to load into the casings. It may seem difficult to maintain the right amount every time. So you can collect a volumetric power measure to weigh individually and correctly. Also, you can use calibrated dipper instead of a volumetric powder weight. Load the power into the casing using a funnel because that’s how no powder will be wasted or spread out here and there. If there is any unused powder, then return that to the factory container. The unused powder can damage your measurement equipment so it is better for those to return to the factory. There should not have any powder left around the reloading area. The step is about keeping the bullet in the seat. You should properly place the bullet in the case so that the depth of the pushed bullet into the neck of the case is correct. The seating die is best to use for this purpose because it helps to maintain the depth. Pot one casing in the shell holder, lower the press handle so that you can crimp the casing. There will be a lock ring to secure it into the place. You can have a manual to have a guide about crimping. When the casing is open, hold the bullet with your one hand over and use another hand to lower the handle of the press. You can adjust the seater if there comes the necessity of keeping the bullet deeper. Use gun oil to clean the dies and ram after reloading ammunition. The coating of the gun oil should be light on the dies and ram. Other than this, you can lubricate the moving parts with the gun oil. After reloading your ammo, place it in the cartridge box. You should keep the reloaded ammo secure in a lockbox to separate those from firearms. Store the box in a place which is dry and cool. Now after going through the article you can reload your ammo yourself. Thus you can save your money up to 50 percent. You can make custom rounds and maximize the accuracy. So when you have lots of advantages why you will discard the empty rounds! 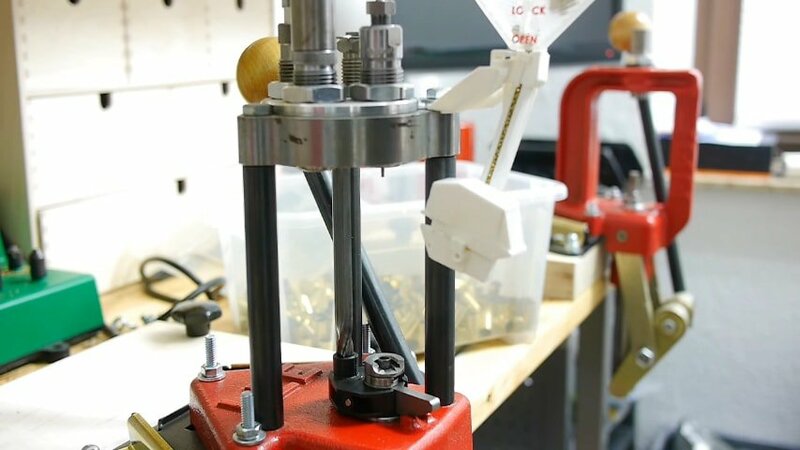 So start now this process and have great success in reloading ammo!